RolePoint is employee referral software and talent acquisition platform that offers solutions for internal talent mobility, employee referrals, and for optimizing candidate experiences. 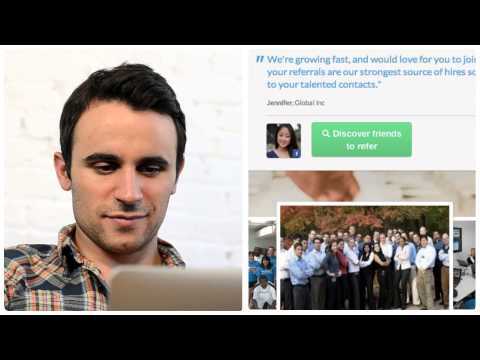 The employee referral feature gives users the power to manage and track all employee referrals. Integrations with third-party human resources information or applicant tracking systems (HRIS/ATS) enable data synchronization and employee updates on the latest status of their referred candidates. Gamification tools aim to increase participation and engagement with referral programs through praise and recognition, and RolePoint also lets companies offer different referral incentives by currency, region, or job type. RolePoint’s internal talent mobility platform allows companies to distribute expected or current vacancies for roles or locations, access automatically-generated recommendations of suitable employees, and build an internal candidate pipeline based on skills development, employee preferences, and locations. The internal communication system lets users personalize the automated mobility role notifications for each employee, with personalized mobility profiles to provide insight into employees’ career progression intentions and preferences. RolePoint also offers an optimized job application process, which enables the building of multiple application flows for different role types, seniority, location, or other specific factors. All flows are mobile-optimized and engage with company branding. Analytics provide users with insight into candidate sources, application success rates, and more. There are currently no reviews of RolePoint. Contact RolePoint for details of annual subscription plans. RolePoint automates the distribution of referred candidates and updates employees on the status of their referrals. Employees are automatically sent recommendations for which of their contacts would be the perfect fit for every role. Single sign-on (SSO), HRIS and ATS integrations allow recruiters to maintain a single candidate database. The internal mobility platform automatically suggests employees who may be the best fit for current and expected vacancies, based on their skills and preferences. Multiple custom-branded application flows can be designed for different roles and locations, with support for multiple languages and a mobile-first design. Below are some frequently asked questions for RolePoint. Q. What type of pricing plans does RolePoint offer? Q. Who are the typical users of RolePoint? Q. What languages does RolePoint support? Q. Does RolePoint support mobile devices? Q. Does RolePoint offer an API? Yes, RolePoint has an API available for use. Q. What other apps does RolePoint integrate with? Q. What level of support does RolePoint offer?